Some sneak peeks at the current projects being worked on. Here are a few more screenshots of Light World. After getting a hold of 3DS Max, I created some models to create a fully three-dimensional area. No textures yet, but this is generally what the more visually complex regions of the game will look like. The area below is a Gothic-style city that the player can freely explore. Right now, the game can run (at least on my non-gaming laptop) at a fairly consistent 30 fps within the city. 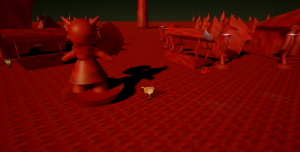 On another note, the upcoming Trophy Toweris a 2D browser game made with Clickteam Fusion, although 3ds Max is being used to create the backgrounds – a technique known as prerendering. This game will be a micro game with arcade style gameplay. 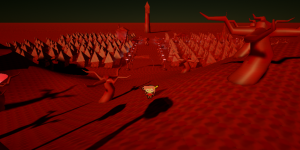 I have the game already complete as this is an update on a game I created in 2005. 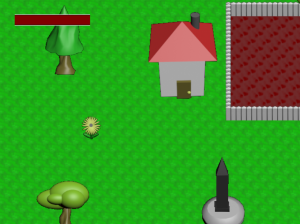 I just have to update the graphics and iron out the bugs.